At South Austin Aikido we have a wealth of instructors with varying backgrounds. Each instructor brings something different to their classes, providing an opportunity for each student to hear and learn from a slightly different perspective. All of the instructors donate their time. There are no paid instructors at South Austin Aikido. Jesse Spears Sensei started training Aikido in 2002, and has been practicing steadily ever since. His personal style is best described as “soft, but martially sound”. His goals for his students are to help them become better people, while passing on his knowledge of Aikido. Background: Jesse’s first formal martial arts training was in Jhoon Rhee Tae Kwon Do in 1984, with Master Steve Powell. He stopped training TKD after 5 years, but continued exploring various martial arts, sports, and recreational fighting styles throughout the late 80’s and 90’s (including fencing, archery, and some esoteric arts, such as Won Hop Loong Chuan). He also practiced meditation, deep breathing and worked on centering and controlling his chi throughout the 1990’s, and practiced Tai Chi briefly, before starting Aikido. Jay Lindholm Sensei began his martial arts training in 1981. Following two years of training in a street fighting system “Kajukenbo”, he then spent eight years training in Tae Kwon Do. Lindholm Sensei taught at his own Tae Kwon Do school in Dallas, for two years prior to moving to Austin, Texas in 1989. David started his study of Aikido in 2008 after years of interest in the art. 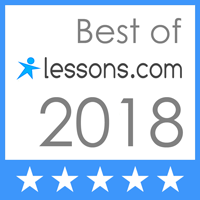 He uses the philosophies of Aikido on an almost daily basis in his personal and professional life for negotiations, presentations, and conflict resolution. David brings a lot of energy to the mat and is always happy to take ukemi. After exploring a number of recreational arts such as boxing, judo, and wrestling, Gilbert began his Aikido training with his sons in the summer of 2006. “Aikido is more than just a martial art, it’s a method of training our body and our mind to better handle the everyday stresses of life,” says Gilbert. While continuing to learn and refine his skills, Gilbert enjoys teaching others and watching their confidence and skill level grow as they learn to master the art. 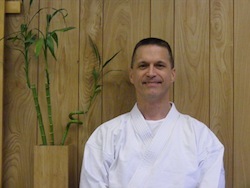 Todd Kammerer Sensei began his Aikido training in 1999 along with his children, then began teaching in 2004. Kammerer Sensei’s goal is first and foremost to remember that we are students first, constantly challenging our present understanding so that we may continually discover a deeper meaning and application of Aiki itself. Always looking for opportunities to grow on and off the mat through our practice with one another in this amazing art of Aikido.